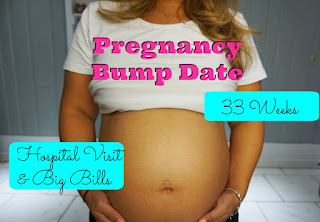 Home 33 weeks pregnant first baby mommy blogger mommy vlogger pregnancy third trimester Pregnancy Bump Date - 33 Weeks - 1st Baby - Hospital Tour, Bills & 1st Subby Gift! Pregnancy Bump Date - 33 Weeks - 1st Baby - Hospital Tour, Bills & 1st Subby Gift! I'm back with my 33 Week Bump Date! This was a big week for me. Hubby and I took our hospital tour and mom came in town for my baby shower and to help get our nursery ready. We also already got a huge hospital bill and the baby isn't even out yet! Lots of fun updates, check it out! Baby Girl Names - Leave your recommendations for names that start with an A! Hospital Bill - I pre-registered for my hospital so that it would save me time and hassle when I do show up, but I also got a big bill in the mail already! Hospital Tour - Hubby and I took a tour of Northside hospital and it was super helpful! 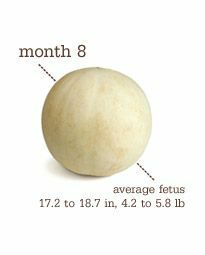 We walked through the entire process - from drop off, to registration to the labor and delivery room, then the family room and even social security numbers. It definitely was a reality check and I recommend everyone tour their birth facility. New Bed - I finally have a king size adjustable frame bed so our little family of 3 can co-sleep and also I can adjust the head and foot for these last few weeks of pregnancy where sleeping is a struggle. Belly in the way - I keep bumping my big old belly into everything! I especially noticed this at the nail salon lol. Stay tuned for my baby shower vlog coming soon! Check out our Amazon Baby Registry and send baby girl a gift!